The Hive Chicago Smart Grid Challenge is a call-to-action for Hive partner and affiliate member organizations to engage young people in a unique, cutting-edge, and relevant STEM-based learning and public awareness campaign. Learn more about the smart grid and its impact on our communities and households. The Challenge is a transdisciplinary opportunity to mentor and guide youth in telling a story, illuminating an issue, making an impact, and learning more about science, technology, engineering, mathematics, conservation, and the impact that humans can have on their environment and society. Yes, this is something your organization and youth can make a contribution to. Our city is being transformed. Whether you’ve heard about it or not – the way electricity is delivered, used, and measured in our homes is changing. Our future utility bills will depend on how we adapt to this change. Some will be affected more than others. Using the Smart Grid to your financial advantage will require access to technology and 21st century literacies to interpret and interact with the usage data it produces. How can we empower young people as a critical resource in the financial health of their households and as trusted sources of information on technology adoption for their families and their community? Hive member collaborations hold the key. The Hive Chicago Learning Network is excited to bring this funding opportunity to its members in collaboration with The Hive Chicago Fund for Connected Learning at The Chicago Community Trust. The Smart Grid Challenge is currently being facilitated as part of the Fund’s 2015 Round 2 RFP. Funding to support up to one Spark-level grant of $25K and one Catalyst-level grant of $100K is available for proposals submitted specifically to the Smart Grid Challenge. Any additional proposals submitted to the Challenge in excess of the available funds may still be approved for funding as evaluated within the general pool of proposals to the Fund’s RFP. Meaningfully connect youth to their families and communities as “experts or ambassadors” to help spread awareness about the changeover and improve household financial outcomes. Smart Grid proposals will be submitted on the same deadline, using the same online application, following the same procedure, and providing the same information about partners and participants as all proposals to the Fund RFP. 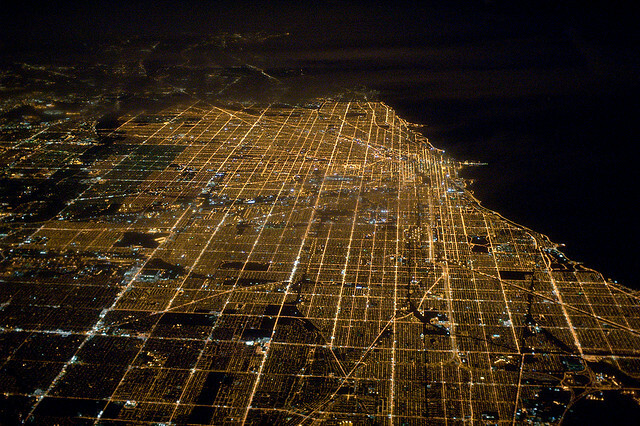 Proposals for projects in the Smart Grid Challenge will be evaluated using the same criteria used for all Fund proposals, considering the Hive goals, moonshots, alignment with Chicago City of Learning, and other strategic priorities with the additional expectation that these proposals make a strong case for how they will meet the specific expected outcomes of the Challenge. In summary, strong Smart Grid Challenge proposals should be strong Hive Fund Spark proposals that meet the additional Challenge outcomes. As with all Spark level proposals, the intention is to prototype and pilot test a program for future development in Catalyst and Lever grant proposals. Therefore, partners submitting proposals are expected to experiment with the full understanding that all outcomes may not be met, leaving room for improvement in future proposals. Funding to support one Catalyst-level grant of $100,000 (with 1:1 match requirement) will be available in the 2016 Round 1 or 2 RFP cycles for the advancement of successful Spark-level proposals submitted in 2015 Round 2. The Fund anticipates extending grant support to at least one Catalyst proposal in 2016. In order to maintain trustworthiness and independence from utility companies with a vested interest in the expanding their smart grid programs, ISEIF respectfully requests that Challenge participants to do not make direct contact with utility companies or affiliate their projects with those companies and/or their branding while they are receiving funding through the Challenge.